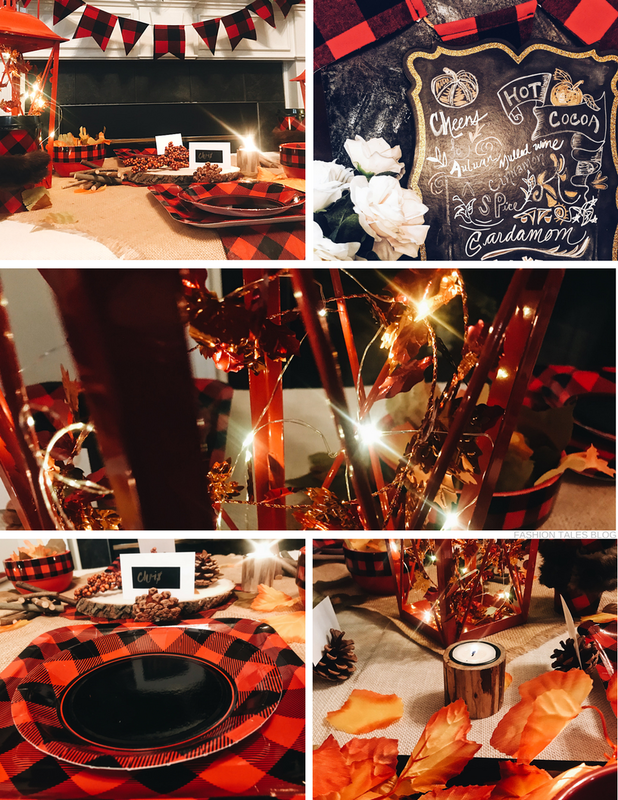 Decorating for autumn and winter is probably by far one of my favourite times of the season to do so. From fallen leaves transitioning into marvellous hues to warm fireside nights, there's always something so special to look forward to. 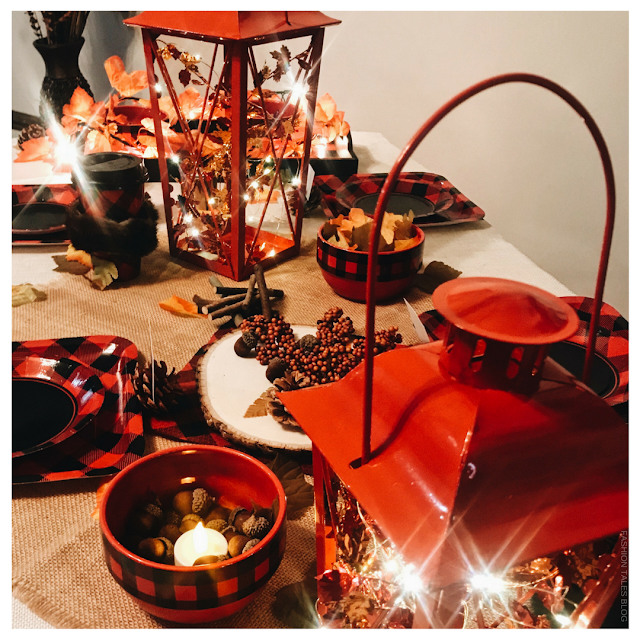 A couple weeks ago amidst the renovating chaos, I was thrilled to oblige friends with my efforts in throwing an autumn bash; although it wasn't planned to happen so soon. A friend of ours had some unexpected issues needing to be sorted so I stepped in and decided on moving the party that I was going to host from November to October. It actually worked out well. 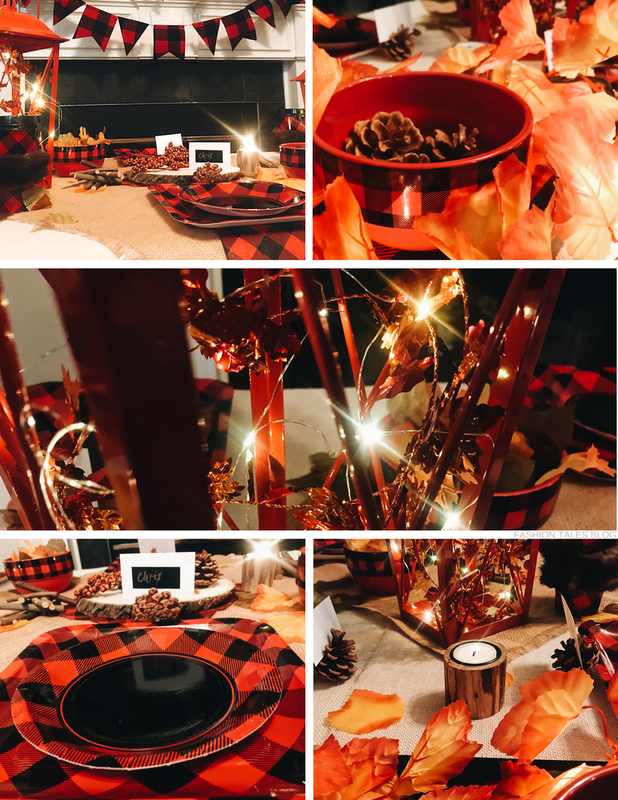 This was my "hello autumn" party moment—the inspiration was to create an indoor campfire style setting with cosy décor. I brought the outdoors inside due to the unforeseen downpour that happened but that did not stop us from enjoying the night. 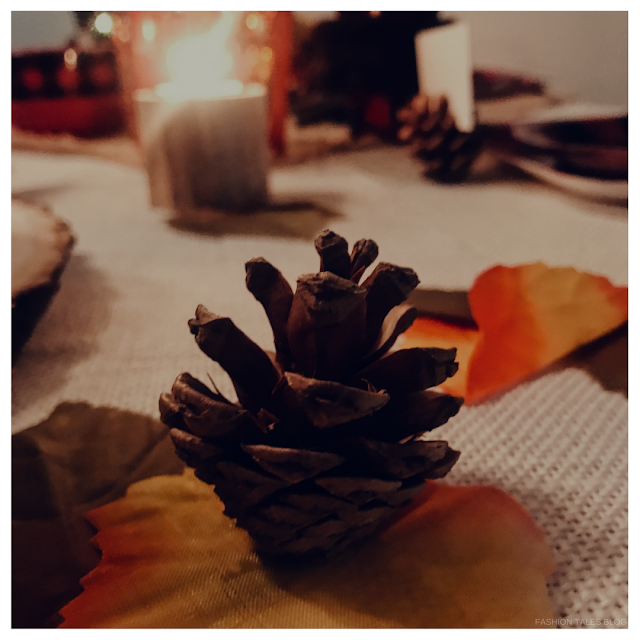 Here, I've put together a few special "somethings" for you to remember to bring for your next cosy autumn party. 1. Something Cuddly: Wear the right clothes for your occasion, whether it be outside or inside. 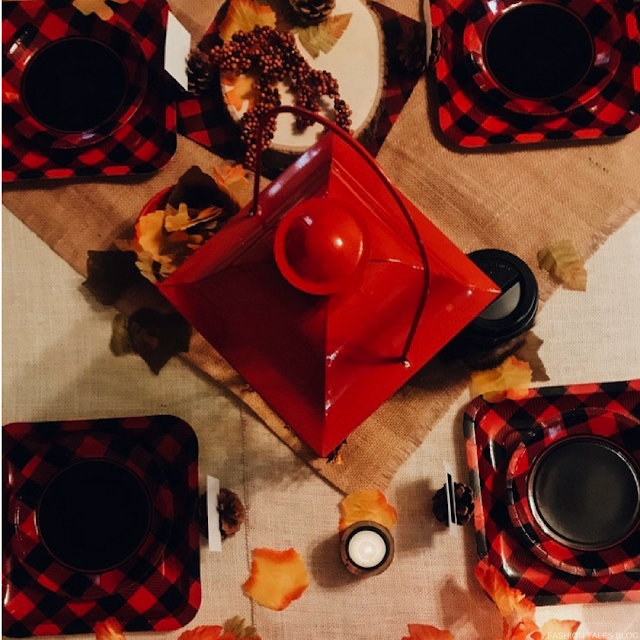 Have plush blankets and/or plenty of throws for your guests to use if hosting a night indoors, or bring your own soft and durable blankets if you're planning on attending a campfire night out. 2. Something Fun To Share: Good music with equally good company is the best, what's more, having great stories to share amongst friends always makes the environment such an inviting one when people open up. And, when the right crowd-pleasing song is on, there's only one thing to do … join in! Lucky for us, we have a few musicians in the squad so there's typically someone lending their vocal instruments for good. 3. 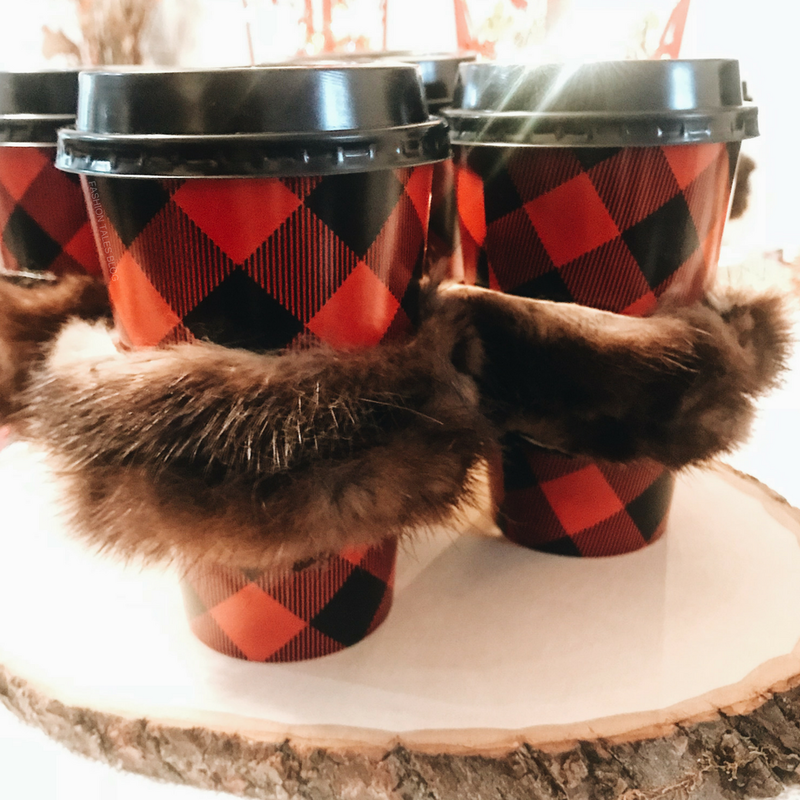 Something Handmade: There's nothing like a fun DIY, and these little cosies were the perfect addition to our tumblers. I'm convinced they will be ideal on a cold day winters day or evening outside with your favourite hot beverage. You can get all of my DIY details here. I really loved the way that these turned out. 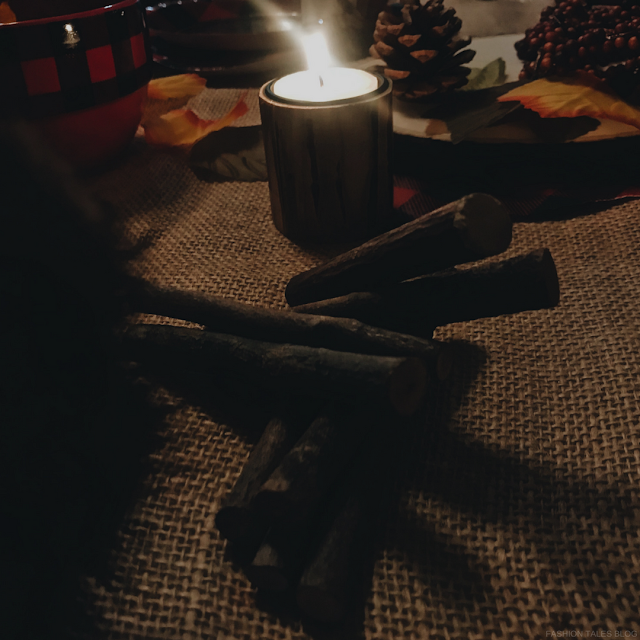 I used pinecones to hold the name cards that I hand-made with chalkboard washi tape. I also made an autumn menu board, but this was more of a welcoming board. You can buy the blank board here. 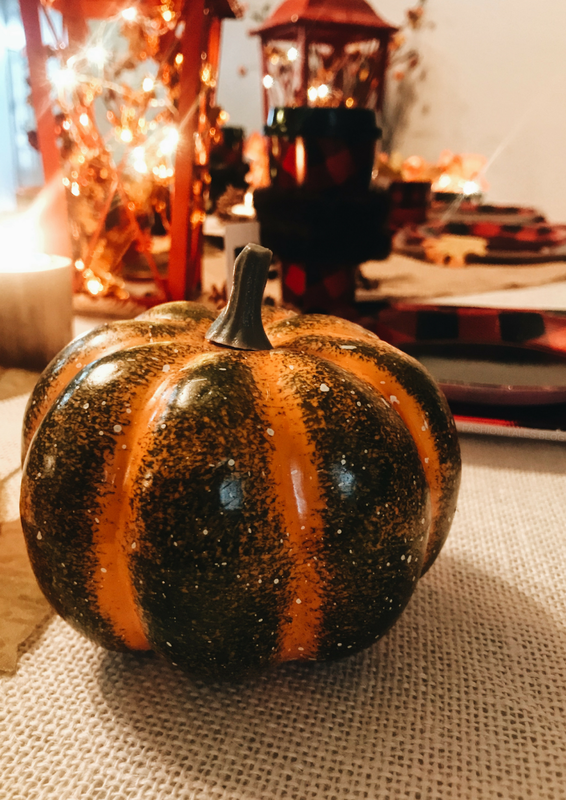 I used chalk with gold and silver pens to create my own autumn decoration. 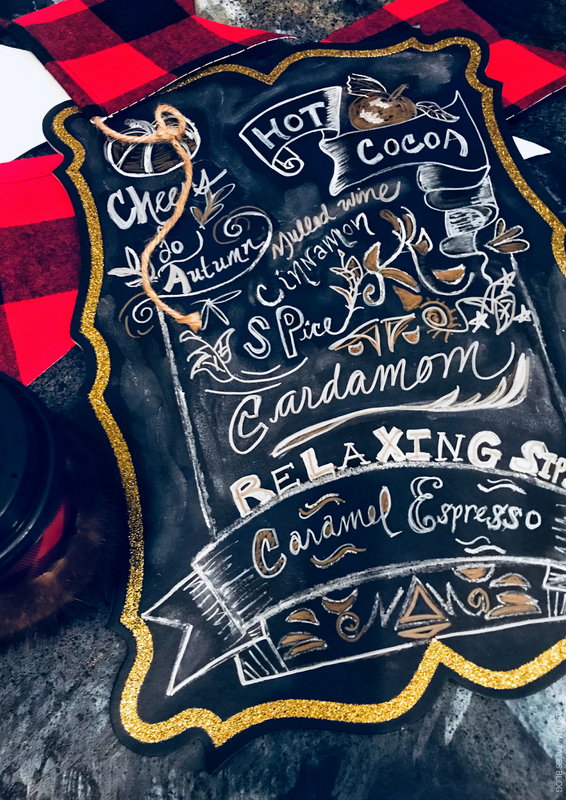 I just did freehand doodles on my board, but if you have different chalk colours, this is a great way to get creative and fancy. 4. Something Edible: I believe in serving plenty, therefore if you're ever invited to one of my parties, rest assured, I cover every type of indulgence. I am not big on s'mores and did not grow up eating them … I actually loathe marshmallows but I do have loads of people in my life who adore them, which is why I will generally muster up the energy to make them albeit last on the menu. I served everything from the aforementioned snack to my favourite pecan party-mix also, savoury biscuits of rosemary and olive, orange scones, homemade hot white chocolate, and more! 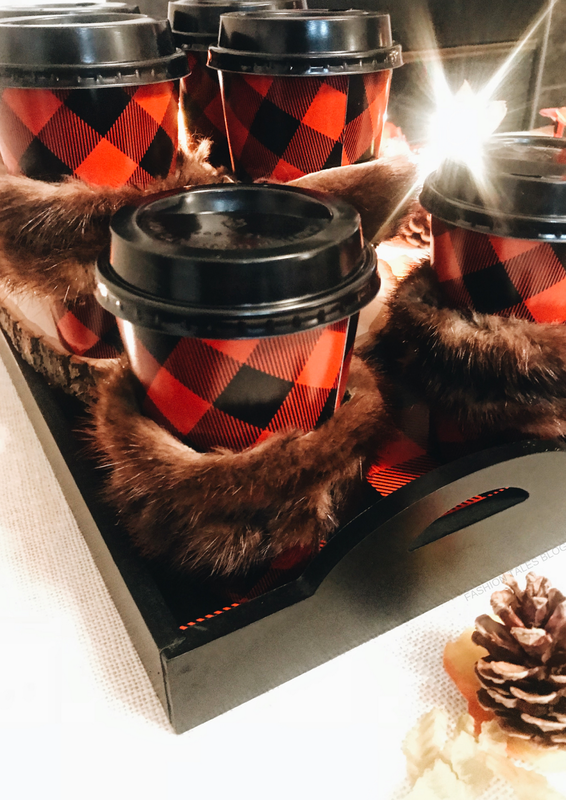 *Grab the fur cup warmer DIY here. 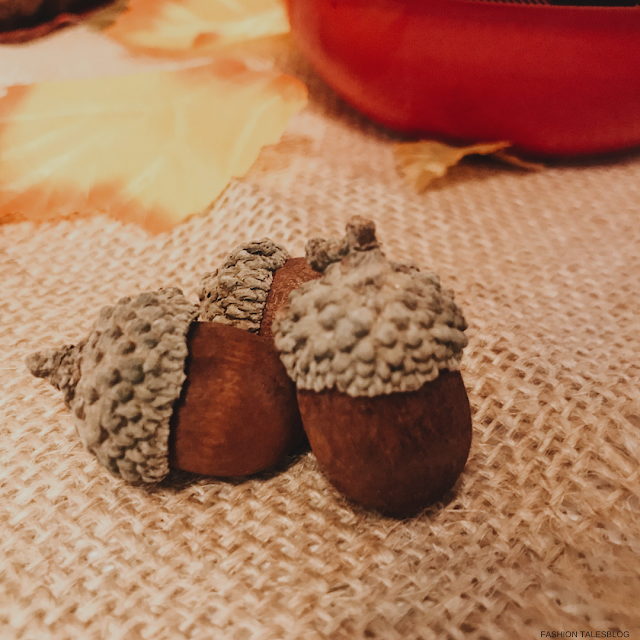 What do you think of our autumn themed décor? *P.S. Apologies, I've been MIA lately, I recently hurt my back, severely pulled a muscle, which is quite irritating so it's taking me a bit to get back to you all. Fortunately, I am on the mend. The goods: Shop the autumn collection here. Some items in this post were provided via Oriental Trading. Grab the DIY here. As always, all opinions are honestly expressed and are my own.